Victoria Falls is one of the most iconic and breath-taking sites in Africa. Victoria Falls is a bucket list destination situated on the border of both Zambia and Zimbabwe. This 1,7 kilometres wide waterfall is a UNESCO World Heritage Site and one of the Seven Wonders of the World. 1. 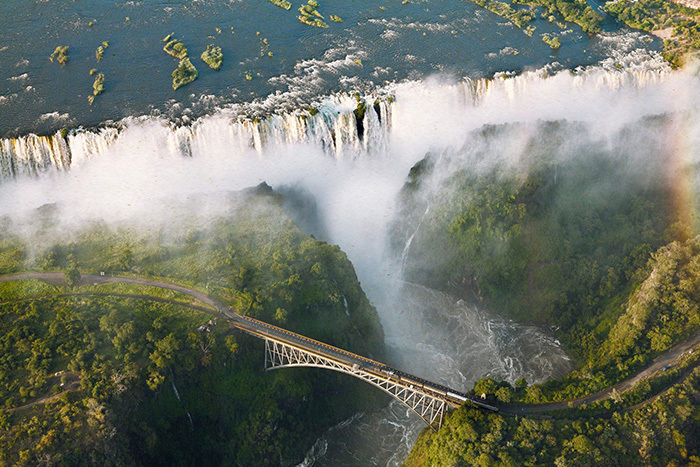 The Victoria Falls is one of the Seven Natural Wonders of the World and with good reason. This waterfall varies in height from 70 metres to 108 metres and is 1708 metres wide, making it the biggest curtain of falling water in the world. 2. The locals aptly call the waterfall Mosi-o-Tunya, meaning “The smoke that thunders”. This is because you can hear the thunderous crashing of the mighty Victoria Falls from up to 40 kilometres away! The spray and mist from the falling water can also be seen rising to a height of over 400 meters and witnessed from a distance of 50 kilometres. 3. Visit Livingstone Island and swim in the world’s ultimate infinity pool! Situated right on the edge of Victoria Falls, Devil’s Pool is a naturally formed rock pool that can be visited when water levels are low enough. The view from the edge is totally exhilarating as you feel the force of the Zambezi flowing past you and crashing down over the cliff; a hundred-meter drop. 4. 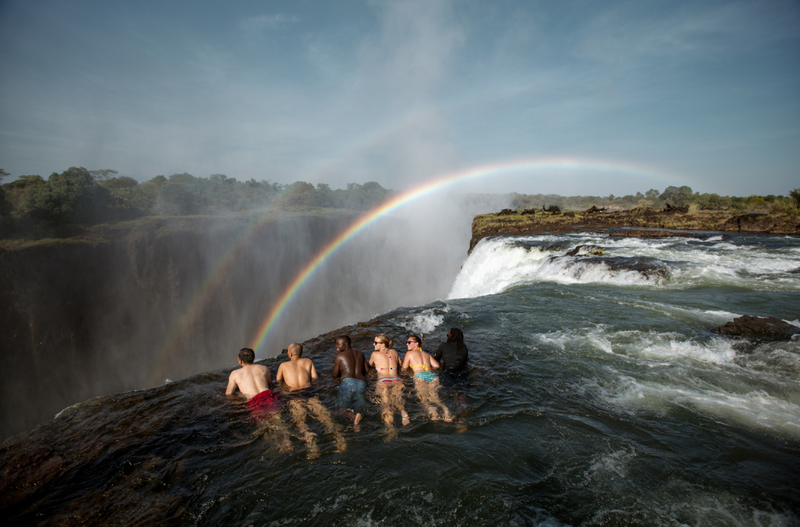 There is something to do for everyone at Victoria Falls, especially for the adventure and adrenalin junkies. Activities include canoeing on the lower Zambezi, and kayaking and rafting on the upper Zambezi. For the even more adventurous, you can try white water rafting and bungee jumping. The best time to visit Victoria Falls all depends on what you want to do and see. The falls are at their most dramatic during the rainy season from February to May, directly after the summer rains in the region. It is during this time that you will see the world’s largest sheet of falling water flowing at its greatest volume, with an estimated 5,000,000m³ of water pouring over the waterfall every minute. If you want to go for a swim in Devil’s Pool then you will have to visit during the dry season. Devil’s Pool is usually open between mid-August and mid-January when the water levels drop low enough to enjoy this thrilling activity. Angel’s Pools though are open when Devil’s Pools are closed so there is a choice on Livingstone Island! 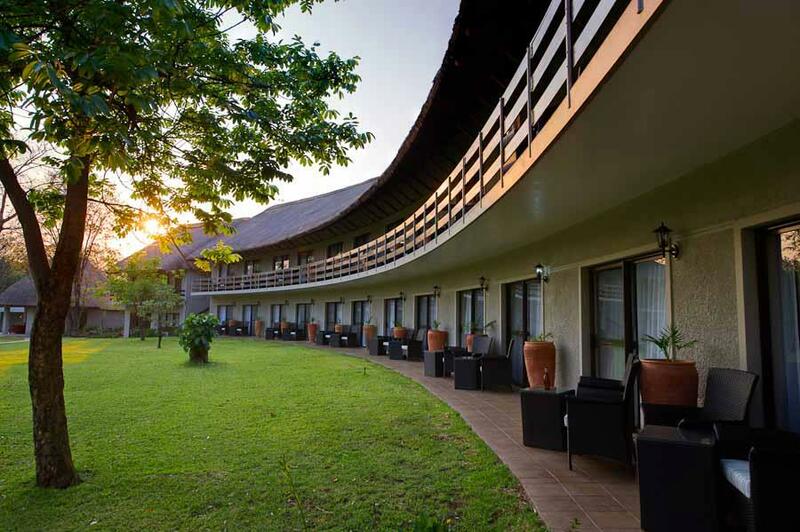 The Victoria Falls Hotel– Steeped in history and one of the oldest hotels in Africa, The Victoria Falls Hotel is located in one of the best spots to discover the Victoria Falls. The hotel boasts a private path that leads to the falls, an idyllic 10-minute walk away. For the best experience we suggest you stay in the deluxe and signature wing rooms. The Victoria Falls River Lodge – Victoria Falls River Lodge is located in the Zambezi National Park on the banks of the mighty Zambezi River – so close to Victoria Falls one can see the spray in the distance! The loge consists of 13 luxurious ‘tents’ where the only thing that resembles a tent is the canvas on the outside. Each room has a comfortable sitting area, indoor and outdoor shower and a private viewing deck with plunge pool. 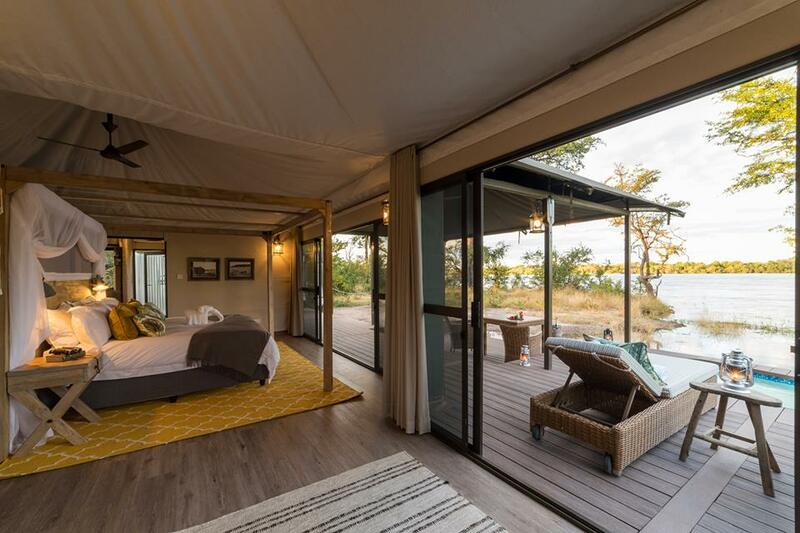 The Elephant Camp– The Elephant Camp is nestled on a ridge between the Masuwe River and the Zambezi gorges, giving guests an uninterrupted view of the breath-taking spray that swells above the Victoria Falls rainforest. 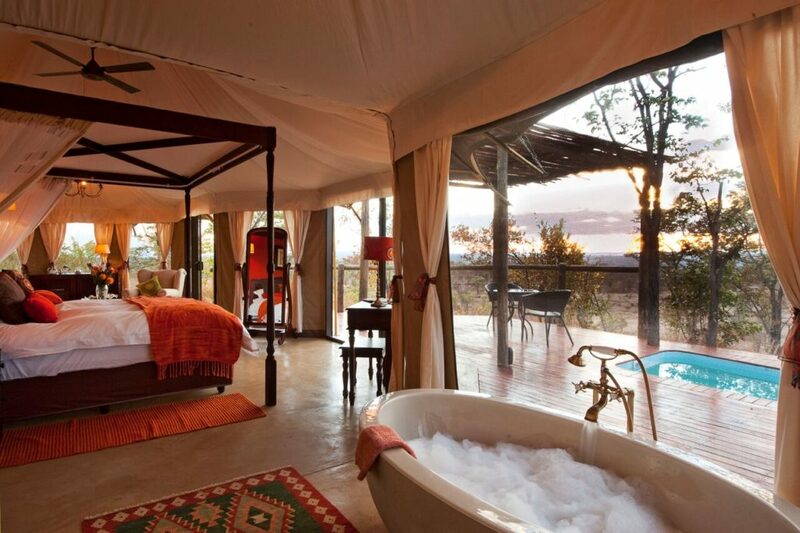 The luxury suites each boast a private plunge pool and viewing deck from where you can admire the magnificent views. The Victoria Falls Safari Lodge – Situated on a plateau just 4km from the majestic Victoria Falls in Zimbabwe, lies the award-winning Victoria Falls Safari Lodge. There are three different room types to choose from but we suggest you stay in the Lodge Waterhole Facing Suites or the club rooms. Old Drift– Upstream of Victoria Falls, on the banks of the Zambezi River, lies Old Drift Lodge. This lodge offers luxury accommodation that overlooks the pristine Zambezi National Park, a mere 7 kilometres from the mighty Victoria Falls. A stretch of river flows between the camp and the town of Victoria Falls, making Old Drift Lodge the closest lodge within the National Park to Victoria Falls. 1. 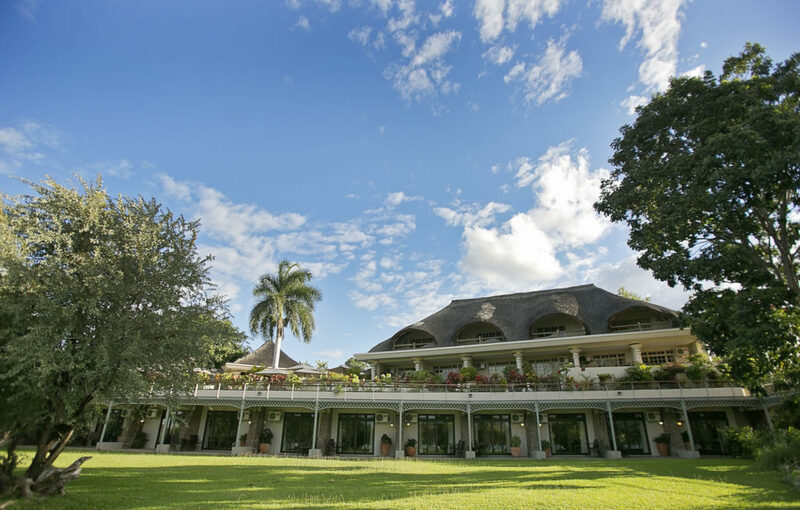 Ilala Lodge– Ilala Lodge Hotel is ideally located on the Zimbabwean side of the Zambezi River and geographically the closet hotel to the Victoria Falls, a mere 8 minutes’ walk. Guests can choose rooms in the West Wing, the Garden Wing or the Pool Wing. The West Wing and the Pool Wing boast splendid views of the mesmerizing spray from Victoria Falls. We advise guests to book the deluxe rooms when staying at this hotel. Guests are also in for a treat at their award-winning Palm Restaurant, as it is famous for its delicious gourmet cuisine and attracts guests from around the world. 2. 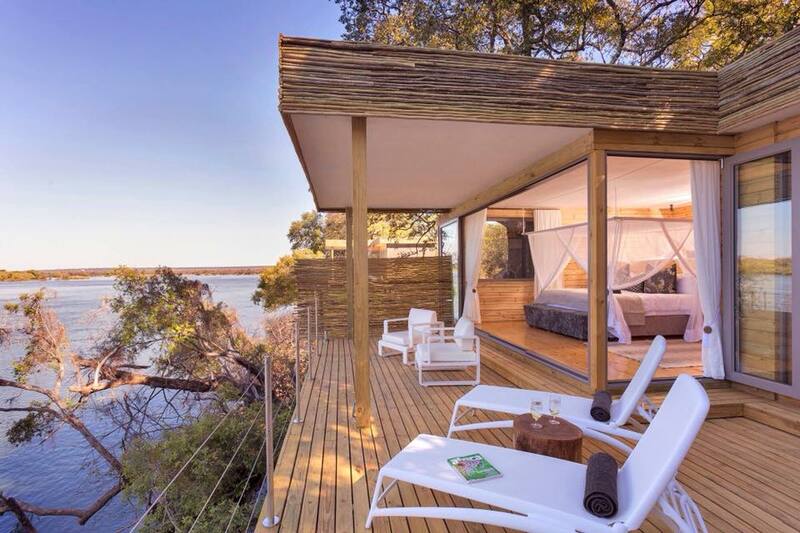 Chundu Island– Chundu Island is a spectacular island lodge on the mighty Zambezi River, only 21kms upstream from Victoria Falls. This lodge is one of only 4 private concessions on the Zimbabwean side of the Zambezi River, in the Zambezi National Park, providing a peaceful base from which to explore Victoria Falls. 3. Batonka Guest Lodge– Batonka Guest Lodge is located just 2,2km from the entrance to Victoria Falls Zimbabwe and is a subtle, personable lodge with a focus on a high level of service. The lodge has 22 rooms and offers guests a range of activities to enjoy around Victoria Falls. 4. 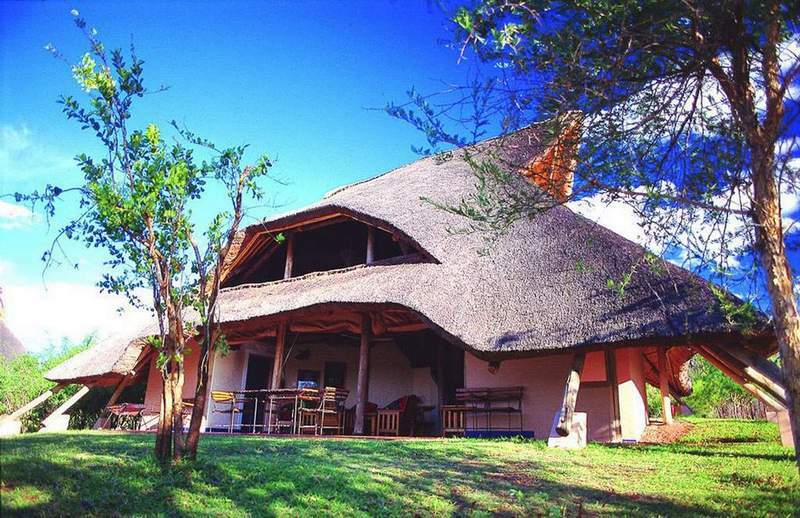 Lokuthula- Lokuthula Lodges is a self-catering resort with 37 rustic thatched lodges, situated just four kilometres from Victoria Falls. 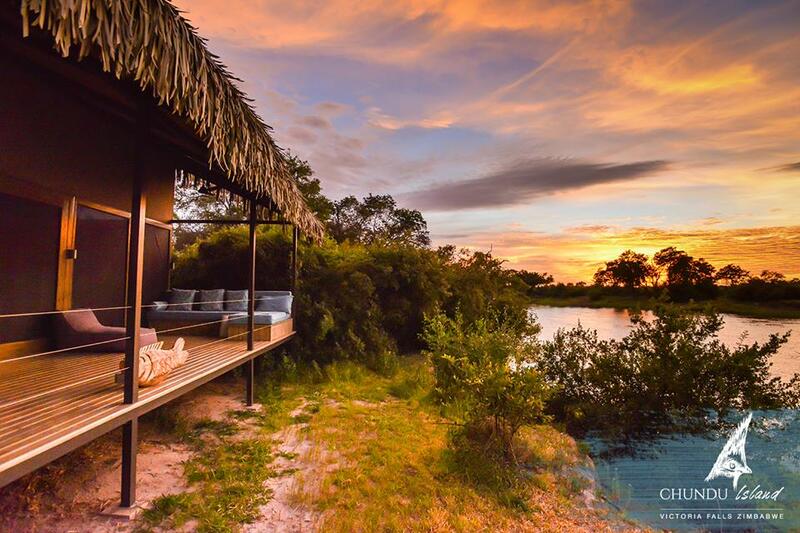 The lodges overlook indigenous bush, allowing guests to enjoy wildlife sightings and a rich variety of birds from their private terrace. 5. A’Zambezi Hotel– AZambezi river lodge is the only hotel with a river frontage and jetty site in Victoria Falls. 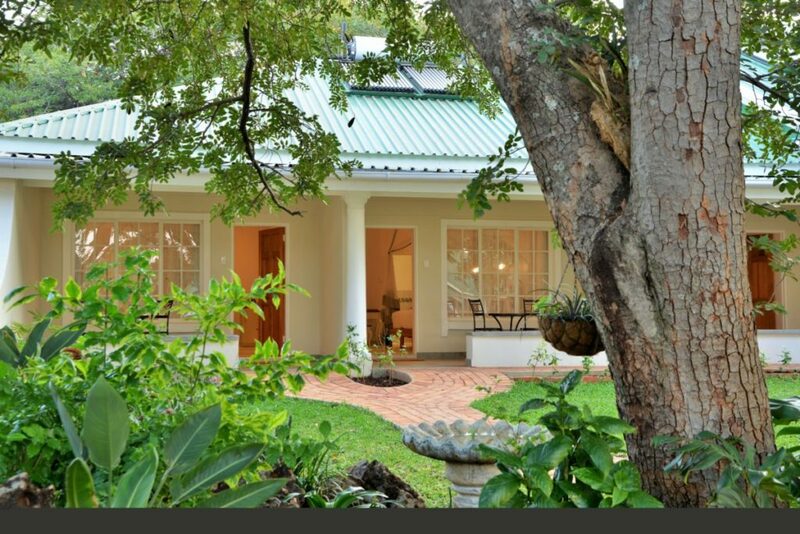 The lodge is situated at the Victoria falls in Zimbabwe, and approximately 5 minutes away from Victoria Falls. Contact us to help you plan your unforgettable adventure to The Victoria Falls, and see for yourself why it is one of the Seven Natural Wonders of the World and experience the mighty “smoke that thunders”.